Manage your leads, contacts and clients from a single online hub. Stay in touch with all of your contacts at a moment’s notice, and never miss a message, inquiry or new opportunity to do business. Manage contacts, leads & clients in a single app, easily communicating with contacts and clients alike. Save time and stay connected to the people who matter most to your business. Keep track of your new clients and existing ones alike. 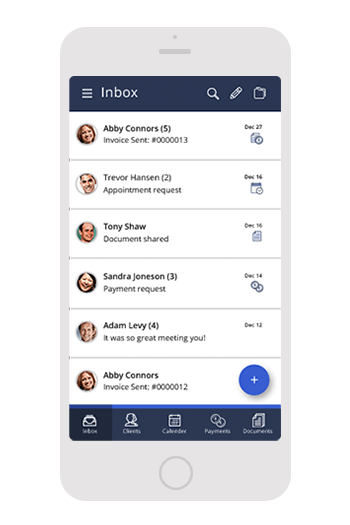 Quickly import and organize contacts into your client management system from your smartphone, Gmail or Excel. Whether you’re in the office or on-the-go, you can take our mobile CRM app for Apple and Android with you. 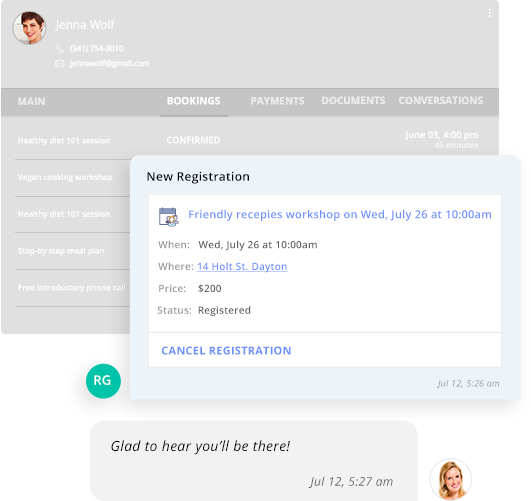 From sending appointment invitations to accepting payments and sharing files, you and your clients can interact wherever you go. Make the most of your every lead from your site. 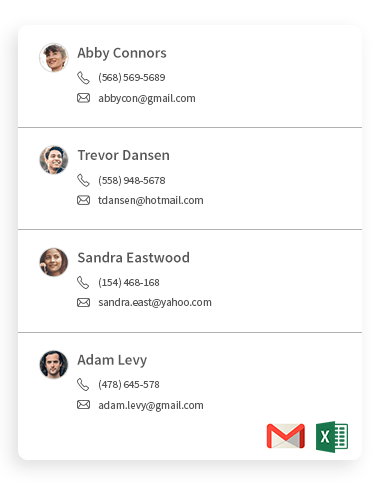 With custom contact forms, your website can inject leads directly into your CRM to aid with lead management. Easy integration between your site and CRM helps you get in touch with more contacts and prioritize your leads to provide the best service possible. Scoring new clients means taking action fast. 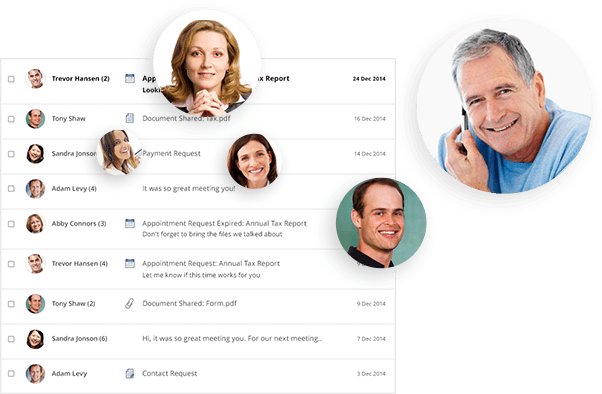 Manage new leads and transform them into clients by starting the conversation in an instant. Invite new leads to book an appointment in a matter of seconds – directly from your website, emails or Facebook page. More leads, less lag time. It’s the only client management software that will help you both manage AND grow your client base. Keep your staff clued in on what matters most for your clients. 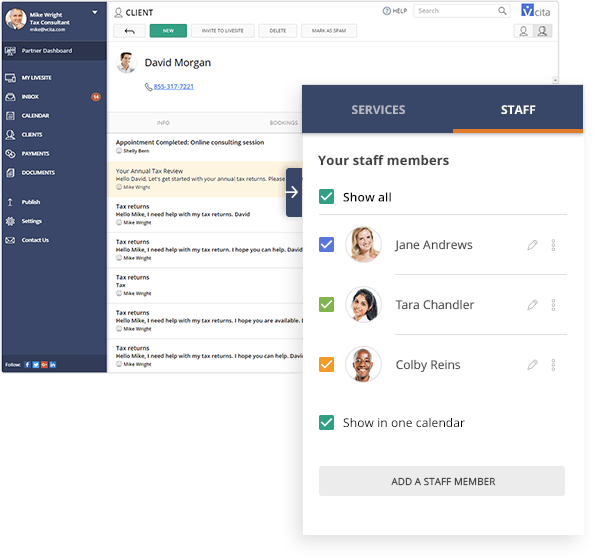 With the help of an online CRM solution, managing clients among staff members is a breeze. Access every single detail about your clients without second-guessing yourself. Get a full, 360-degree view of your client relationships, including past meetings and appointment details, previous payments, shared documents, correspondence history and private notes. The percentage of people contacting me now over my old ‘contact’ page, is nothing short of amazing. I LOVE this service! vCita is easy to set up and has simplified the way I do business. My clients also love the ease of use! vCita is a fundamental infrastructure for any small business, essential in managing leads and opportunities.